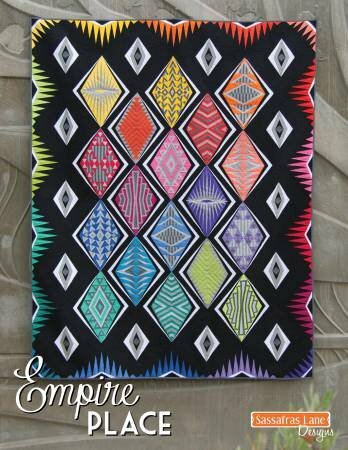 Empire Place is a contemporary paper-pieced quilt inspired by the amazing Art Deco era. Nine different diamond block designs create this modern quilt pattern. The book includes full-size foundation, step-by-step paper piecing instructions, a coloring page and more! The Empire Place quilt finishes 72" x 90"